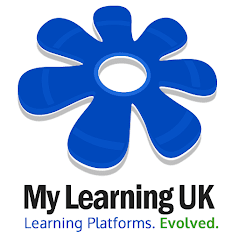 We have today released the latest edition of the My Learning Suite to the community. Version 17, entitled "Damora" is one of the largest updates for over 18 months and comprises a mixture of requested features, user experience updates and a focus towards consolidation and ease of use. The online editor is now equipped with a range of built-in templates that allow you to create content much more easily. Templates can be used when creating a new file, using the course manager and building websites. A simple point and click interface allows you to insert templates, change images and add video easily. The entire interfacing system has been improved to provide better support for smaller screens, tablet devices and general navigation. There are a range of new themes to add greater diversity and subtle improvements to shadows and on-screen elements. The course manager has undergone layout improvements in order to display more relevant information to users. New abilities to customise your course homepage and discover newly contributed content greatly enhances the user experience. For our international users, there is a new facility to allow administrators to contribute translation changes to any part of the interface. If your school is interested in becoming a translation trainer please let us know. The system has been used successfully in Holland. Every course, class, learning space and file on the system can now be classified to fulfill key curriculum areas using a common colour format. This means that in a future edition, resources can be searched according to their curriculum type. My Learning Plan, which is the edition that provides an interface for secondary schools, colleges and teachers now has an enhanced menu that is much easier to use, and more compatible with touch based devices such as whiteboards, tablets and touch PC's. We discovered that 85' of users were clicking the middle of an icon in order to view their files. This used to open the file properties screen but has now been improved so that it will display the file. File properties can be accessed using a smaller 'settings% icon. You can now search for users more easily by quickly accessing common groups with large easy to use icons. We've also improved the layout and order of the way that some users were listed. Our system now has full provision for the following role types: Student, Teacher, Non-Teaching and Governor. In order to improve the detail of the system you may wish to edit your users and select a more accurate role type for them. Within a course, you can now filter test results based upon individual classes. This is useful for teachers who have multiple classes enroled within a course. Each file in the file manager properties now allows you to upload a replacement file. This allows you to freshen a file that already exists and can be useful in updating Microsoft office files, images and media. Administrators have a new option to manage course categories, users, classes and a range of new tools. It is now possible to change the owners of learning spaces and classes by appointing a new owner. All the resources are then moved to the new owner of the resource. Our themes have been increased and simplified to create a much cleaner and faster user experience. There have been over 180 minor updates, fixes, tweaks and improvements which will be available in the formal release notes for registered users. As with all our releases, phase 2 will commence during the next few days to provide supplemental features and minor adjustments as the new update settles in. We hope that we have addressed many of your requests and look forward to Version 18, entitled "